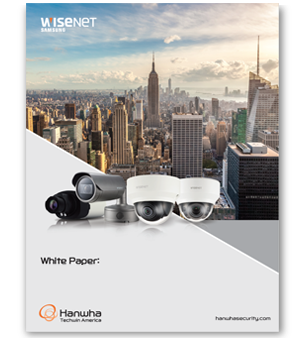 Hanwha Techwin America delivers surveillance and security solutions with unparalleled levels of technology, innovation, performance and value for virtually any venue. 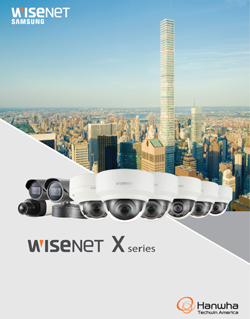 Our recently introduced Wisenet line of innovative security products demonstrates the commitment we bring to market, including 12MP cameras, intelligent video analytics and H.265 support. Explore our solutions and see how we can go further together. Wisenet 5 is Hanwha's most powerful chipset ever incorporated into a full camera range with an all-new architecture that enables faster processing. This self-developed chip incorporates advanced features and delivers extreme performance suited to a wide range of video surveillance applications. Wisenet X is the first product range to use this single chip solution. 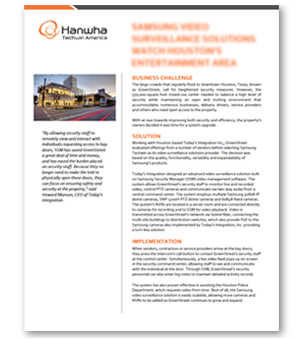 Click here to download the 2017 Hanwha Techwin Solutions Catalog. Contact your local Accu-Tech representative to learn more about Hanwha's solutions.